STILLWATER – It’s likely that within the first 10 minutes of Wednesday’s Bedlam matchup, Isaac Likekele will play more minutes than he did in Norman two weeks ago. The Oklahoma State freshman guard played three minutes in each half of the Cowboys’ 74-64 defeat in Lloyd Noble Center, scoring only two points. The most glaring stat, his plus/minus, was a team-worst -13. When Oklahoma travels to Stillwater for the season’s second Bedlam matchup at 8 p.m. Wednesday, Likekele said he will be more prepared for what the matchup is about. “It’s much more serious than I thought it was,” Likekele said. “I knew the importance, I just didn’t feel the importance. I knew it in my mind, but in my heart I didn’t really feel it. Now I really feel the importance of the rivalry. Both the Cowboys and Sooners are reeling, dropping their past two conference games. They lead only West Virginia in the standings nearly a third of the way through the Big 12 slate. While the veteran OU squad is looking to get back to the NCAA Tournament, the young OSU team is finding ways to adapt. On Thursday, OSU coach Mike Boynton held open walk-on tryouts. Nearly 50 OSU students showed up trying to showcase their hoop skills. The O’Colly’s Zach Hake is one of the few who attempted to see whether he could join the team. You can read about his point of view of the tryout here. Boynton said there were five or six guys who he invited to join OSU’s practice squad. With only nine players on the roster after the dismissal of Michael Weathers, Kentrevious Jones and Maurice Calloo last week, Boynton just needed bodies to help in practice. In the four games since the previous Bedlam game, Likekele has improved and posted his strongest game of the season against West Virginia. He has played at least 25 minutes in the four contests and 35 or more minutes in two of them. His assist-to-turnover ratio is 2.14 while he has grabbed at least five rebounds in each game. Boynton credited Likekele and fellow freshman starter Yor Anei’s improvement to their dedication. At 5 p.m., the Cowboys were in Hilton Coliseum getting ready for their tussle with the Cyclones. At 9 a.m., they sat on a runway in Stillwater with the nose of a charter plane pointing north waiting to depart for Des Moines, Iowa. OSU wasn’t able to travel to Ames on Friday because of poor weather conditions. Players and coaches traded a night at a hotel for sleeping in their own beds and having a long work day, as captain Cameron McGriff described it. Boynton said he didn’t think it affected their preparation, though the schedule was a bit different. 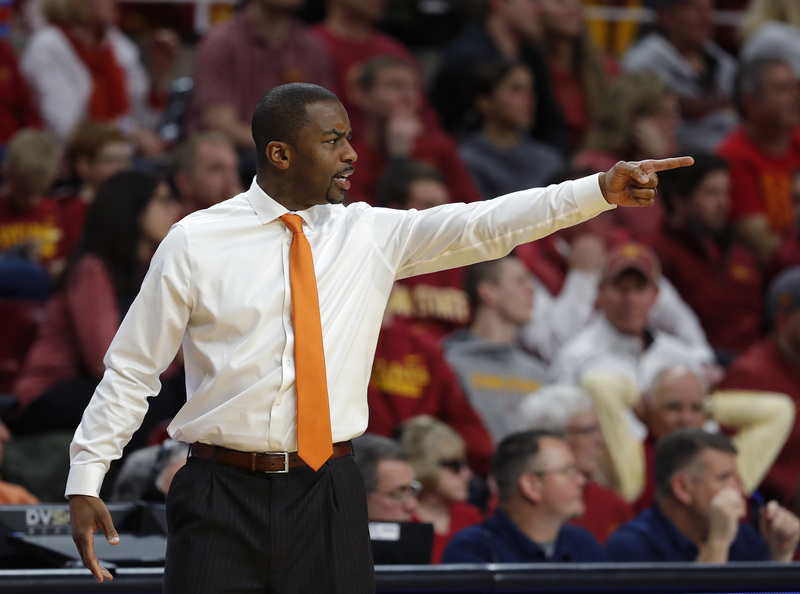 McGriff added by the time OSU arrived in Ames, the players were focused on playing the game. Likekele credited Boynton, saying he had the Cowboys well prepared to try and win the game. OSU is going to be comfortable playing in Gallagher-Iba Arena the next couple weeks. The Cowboys will play at home for their next three games, starting with Oklahoma on Wednesday. Boynton’s alma mater, South Carolina, comes to Stillwater for the Big 12-SEC challenge on Saturday. The final game is the following Saturday against Kansas State, which has won four straight. The Wildcats are a part of the four-way tie atop the Big 12 conference standings. The time at home should be beneficial to rest OSU for the stretch run while helping players get used to the new roles.